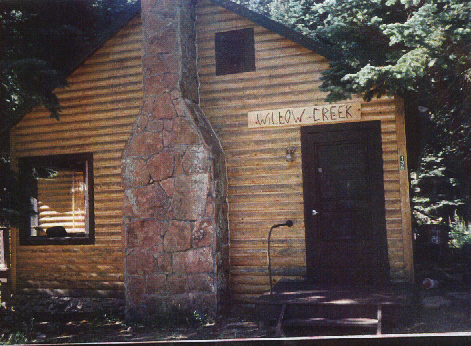 Willow Creek Cabin is available year round and easily accessible. Right outside the cabin door is a hiking/cross-country ski trail. It offers easy proximity to everything in town, at the same time privacy – being nestled amid the pine trees. The Fawnbrook Inn (a five star restaurant), shopping, and stables of Allenspark are within walking distance. Only a few miles north is the Wild Basin entrance to Rocky Mountain National Park. Here is a nice map of the park. The unmarked stream running through Allenspark is Willow Creek. A short hike up the unpaved road leads right into the park trails. Willow Creek Cabin still has a number of choice dates available. Call or e-mail now to reserve your preferred dates.